Bring your BOYS, TOYS, BOAT, RV or HORSES! End of the road privacy on 6.2 country acres.Room for your family to grow and play!Custom home features a downstairs master AND an office/bedroom! Spacious bonus room for games, sleepovers or theater room??? Light-filled living room opens to spacious 1400 sq.ft.redwood deck perfect for viewing your oak-studded property that backs up to meandering Secret Ravine creek with Salmon/Trout! Newer HVAC, tankless water heater, Clear Pest Report and 1600 gallon water storage tank.Walk to Indian Creek Golf Course and Secret Ravine Winery! 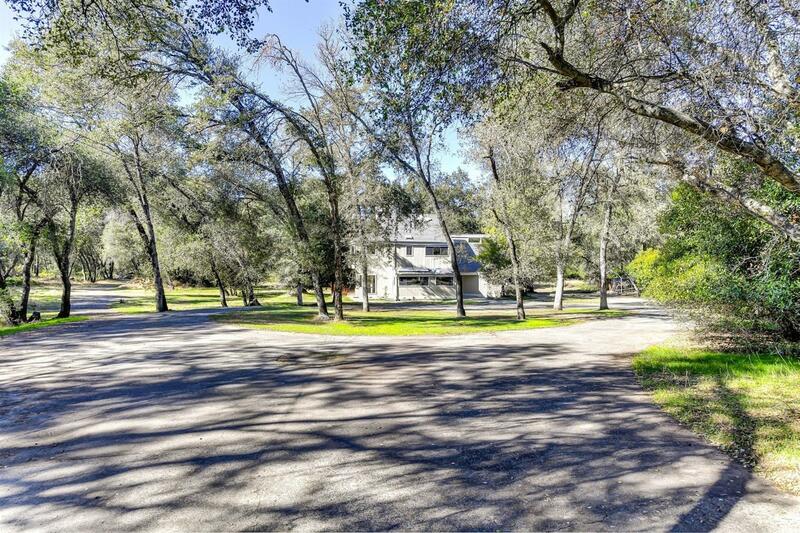 Top-rated Loomis Schools PLUS Del Oro make this your forever home!